After two rounds there were 8 teams still within 10 shots of the lead so the final round was pressurized throughout. With three teams jumping out ahead early (Cal, San Diego State and UAB), Stanford was one of 5 teams battling for the final 2 spots to move on. 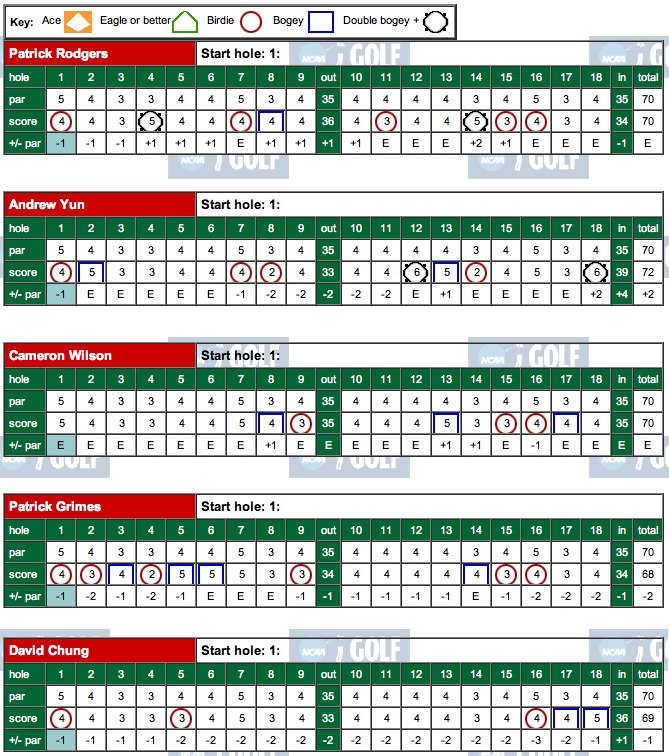 Several late birdies by Patrick Rodgers on 15 & 16, Andrew Yun on 15 & 18, Cameron Wilson on 16 secured a comfortable margin as Stanford ended up 5 shots ahead of 6th place finisher Tennessee. 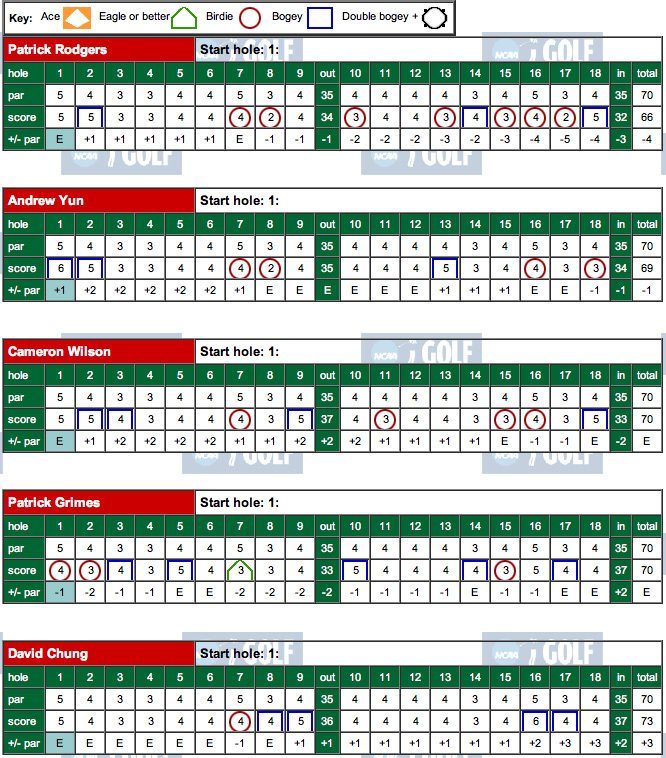 Stanford's consistent top 3 players played well again in the final round as Andrew Yun's 66 lead the way, followed by Cameron Wilson's 69 and Patrick Rodgers' 70. 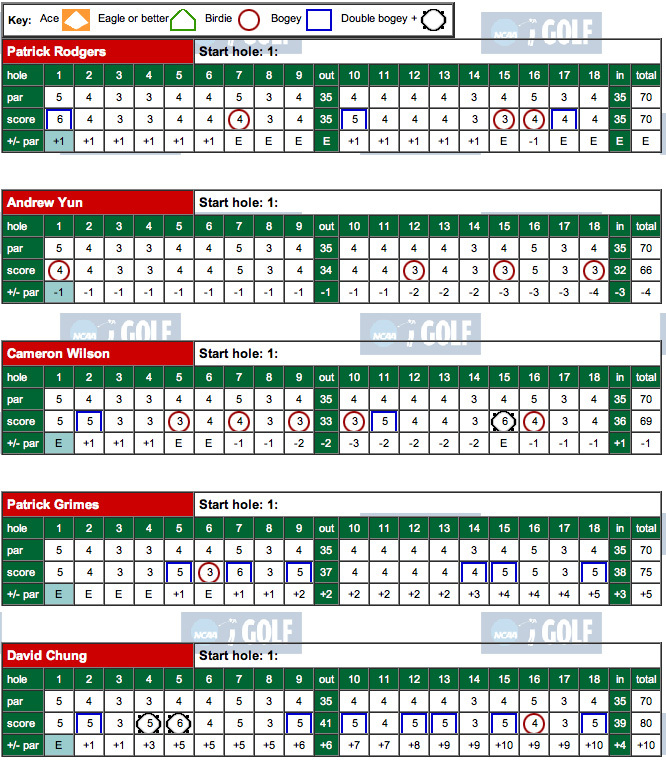 Patrick Grimes battled his way around to a final round 75 while David Chung struggled to an 80. 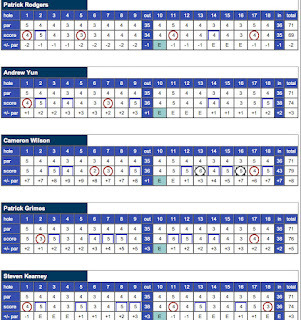 Overall finishes were Patrick Rodgers tied for 10th at 4-under 206 (70-66-70), Andrew Yun tied for 15th at 207 (72-69-66), Cameron Wilson tied for 22nd at 209 (70-70-69), Patrick Grimes tied for 39th at 213 (68-70-75) and David Chung tied for 66th at 222 (69-73-80). Andrew's final round 66 included 4 birdies and no bogies so he was a model of consistency. 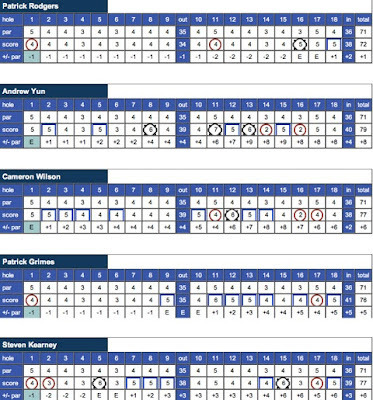 Cameron's 69 included a 33 on the front nine, plus two more birdies on the back nine marred by his double bogey on the par 4 15th after driving it out of bounds. Patrick Rodgers struggled to a frustrating bogie on the par 5 first and despite only hitting 2 fairways and lacking his typical sharpness in his short game posted his even par 70. 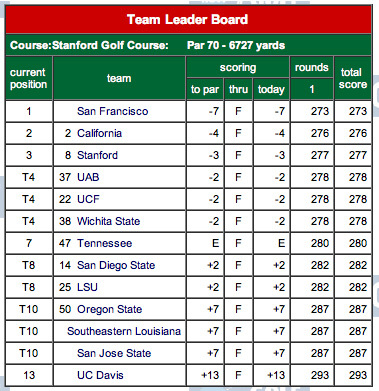 Round 2 Recap - Stanford is tied for 3rd, 6 strokes behind the leading Cal team. 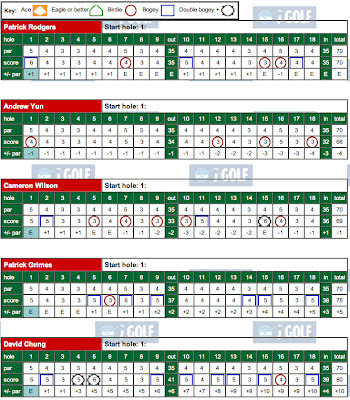 As the scoring summary on the left shows, Stanford sits tied for 3rd 6 strokes behind the leading Cal team. With five teams advancing, there are at least 8 teams with a very good chance to advance as they are only 10 shots behind the leading team. 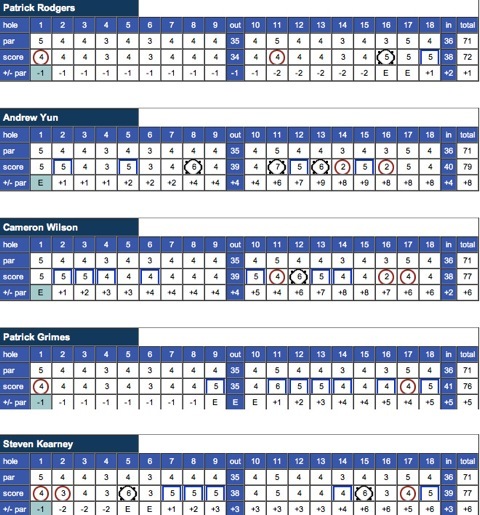 Scoring conditions were excellent and the scores were very low as the field found many shooting in the 60s including a low round of 63. A total of 29 players in round 2 shot round in the 60s out of the field of 75 players. Two teams had the 4 posting scores all in the 60s, while three others posted 3 rounds in the 60s. No doubt low scoring will come on day 3 as well as conditions are forecast to be ideal and the course setup has lighter rough than has been offered in the past. All but two teams in round 2 had even par 280 scores or better, with two below 10-under 270. Stanford had a solid day led by Patrick Rodgers' 66 that included 7 birdies, 5 on the back side where he shot a 32 despite a bogey on 18 - Patrick is tied for 8th overall at 4-under 136, 5 strokes behind Michael Kim of Cal. Patrick Grimes (68-70 T17) found him out in 33 with an eagle and two birdies and with a back nine 37 including 3 bogies and 1 birdie. Cameron Wilson (70-70 T30) again was even par offsetting a front nine 37 with a back nine 33 that included 3 birdies and 1 bogey on 18. 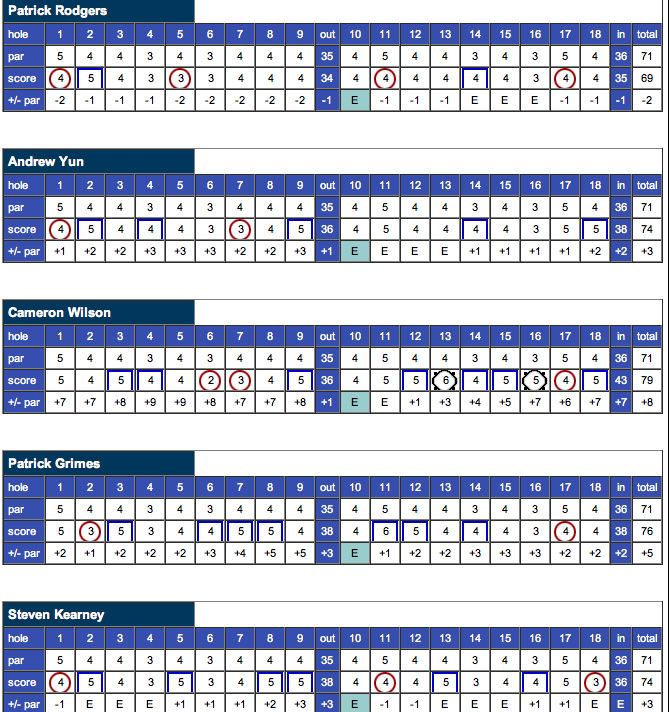 Andrew Yun (72-69 T33) was steady in round 2 with 4 birdies and 3 bogies while David Chung (69-73 T41) couldn't make enough birdies to offset 4 bogies on the day. 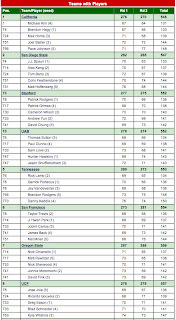 Below are the scorecards for each of Stanford's players in round 2. Click to enlarge. STANFORD, Calif. -- - Stanford's men's golf team shot an opening round 277 (-3) and is in third place after the first day of the Stanford Regional on its home course. The Cardinal is four shots behind first round leader San Francisco, which shot a seven-under 273 today, and one shot back of California, which opened with a 276 (-4). 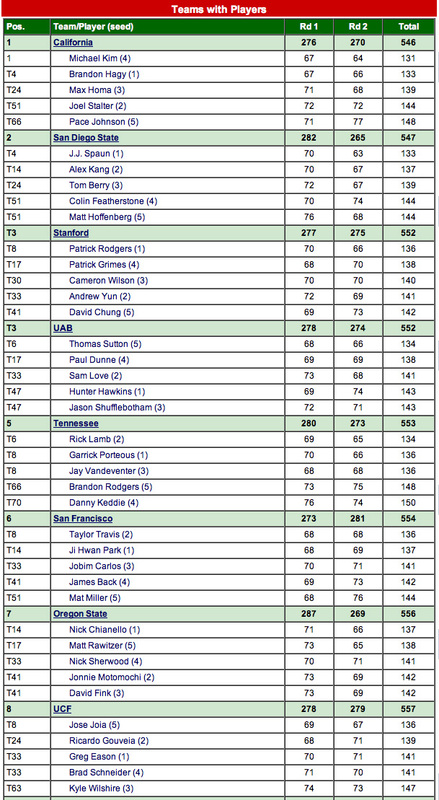 Seven teams and 39 golfers managed to post scores of even par or better in favorable scoring conditions on the par-70 Stanford Golf Course. 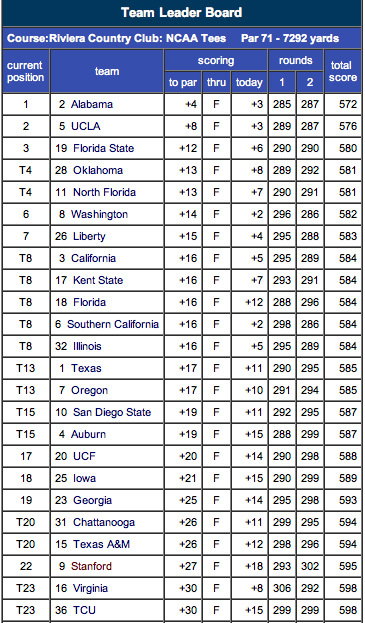 UAB, Central Florida and Wichita State are tied for fourth at 278 (-2) while Tennessee is at even par 280. 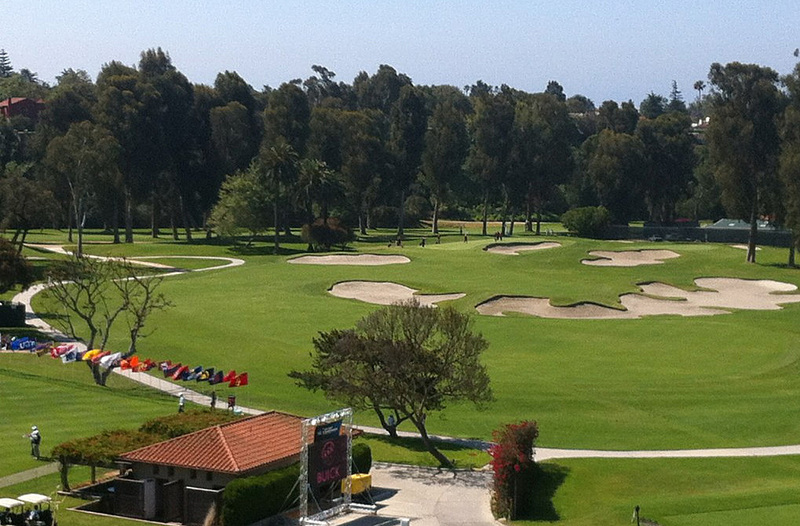 The top five teams from the Stanford Regional advance to the NCAA Championships to be held later this month at the Riviera Country Club in Pacific Palisades. Freshman Patrick Grimes paced the Cardinal on day one, shooting a two-under 68. He is part of a large pack of golfers who are tied for seventh, two strokes behind co-leaders Sang Yi of LSU and Zachary Blair of BYU, who is playing as an individual. Grimes, a Palo Alto native who attended The Menlo School, got off to a fast start this morning, collecting birdies on three of his first four holes. After making bogeys on holes 5 and 6, Grimes came back with a birdie on No. 9 to make the turn at 34. After four straight pars and a bogey on the par-3 14th, Grimes birdied holes 15 and 16 to close with a 68. 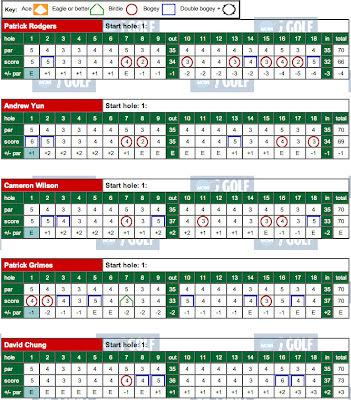 Senior David Chung is tied for 17th after shooting a one-under 69. He was three-under on his round after making birdies on 1, 5 and 16 but closed with bogeys on 17 and 18 for an opening round 69. 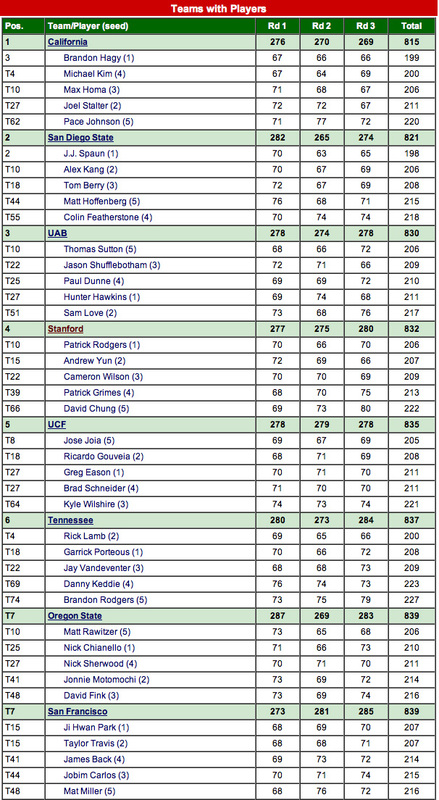 Freshman Patrick Rodgers overcame two double bogeys on his card to shoot an opening round 70 and is tied for 27th place. He played the first nine holes at one-over but got back to even with a birdie on the par-4 11th. After making a double bogey on the par-3 14th, Rodgers answered with birdies on 15 and 16 and made a clutch par save from behind the green on 18 for his round of 70. Cameron Wilson is also part of the large group who sit at even par. Wilson was one-over after his first 14 holes before going to one-under after making birdies on 15 and 16. He bogeyed the par-3 17th for an opening round score of 70. 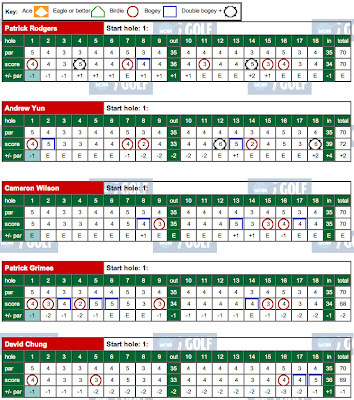 Andrew Yun made a double bogey on his final hole and finished with a two-over score of 72. Yun made the turn at two-under, only to double the par-4 12th hole and bogey the par-4 13th. He got one stroke back with a birdie on the par-3 14th, only to finish with a double bogey. Stanford will be grouped with San Francisco and California in the second round and will tee off from the first hole beginning at 9:15 a.m.
STANFORD, Calif. - Stanford opens its drive for a ninth national championship at the NCAA Regionals, which will be held at Stanford Golf Course beginning on Thursday. The field will tee off at 8 a.m. from holes No. 1 and 10 on Thursday and Friday and at 7:30 a.m. on Saturday. The low five teams from this 13-team Stanford Regional will advance to the NCAA Championships, to be held at Riviera Country Club in Pacific Palisades, May 29-June 3. California, which won its first-ever Pac-12 championship earlier this month, is seeded first in the regional, followed by Stanford, San Diego State, Central Florida and LSU. Rounding out the field are (in order of seeding) UAB, Wichita State, Tennessee, Oregon State, Southeastern Louisiana, San Francisco, San Jose State and UC Davis. Cal (No. 2), Stanford (No. 8), San Diego State (No. 14), Central Florida (No. 22), LSU (No. 25), UAB (No. 37) and Wichita State (No. 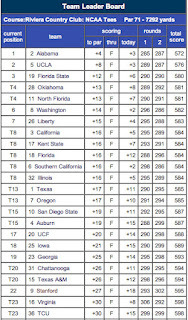 38) are ranked among the top-40 nationally in the latest Golfweek/Sagarin ratings. In addition to Cal, San Diego State (Mountain West), Wichita State (Missouri Valley), San Jose State (Western Athletic) and UC Davis (Big West) won its respective conference championships this spring. Ten individual competitors -- Zac Blair and Justin Keiley of BYU, Justin Shinn and Zachary Fullerton of New Mexico State, Josh Anderson and Johnny MacArthur of Pepperdine, Alex Edfort of Pacific, Allan Jun of UC Irvine, Mason Carper of Utah Valley State and Jarred Bossio of Idaho -- are also included in the field, with the low individual earning a spot in the NCAA Championship field. Stanford will look to regain some momentum following a sixth-place finish at the Pac-12 Championships, which were held earlier this month in Corvallis, Ore.
Knowles Family Director of Golf Conrad Ray is not taking anything for granted this week, even though Stanford Golf Course provides a certain degree of comfort for his team. "Playing on your home course is both good and bad," said Ray. "It's good in the sense that the guys are very familiar with the course and can manage expectations. But you don't want to fall into the trap of thinking you have to shoot a certain score rather than taking each hole one at a time." Stanford is expected to start a lineup consisting of (in order) freshman Patrick Rodgers, junior Andrew Yun, sophomore Cameron Wilson, freshman Patrick Grimes and senior David Chung. Rodgers and Yun are at the top of their games, as both have notched top-10 finishes in each of their last three outings. Yun is coming off a win at the Pac-12 Championships, where he posted scores of 68-70-69-68 at the Trysting Tree Golf Club to become Stanford's first conference individual champion since Jim Seki in 2002. The two-time first-team All-Pac-12 performer also tied for fourth at the Western Intercollegiate and tied for 10th at the U.S. Intercollegiate event held at Stanford in late March. A model of consistency, Yun has six top-10 finishes in 10 events this season and 13 top-10's in his last 21 starts dating back to last season. 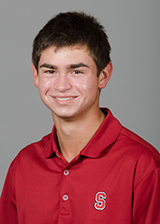 He is currently ranked 10th in the Scratch Players World Amateur Rankings and 12th in Golfweek's/Sagarin ratings. Rodgers, one of three finalists for the Hogan Award given annually to the nation's top collegiate golfer, has recorded top-10's in all but two of his 10 starts this season, including a pair of wins at the Fighting Illini Invitational and the Western Intercollegiate. He is ranked third in both the Scratch Players World Amateur Rankings and Golfweek/Sagarin ratings and has shot par or better in 22 of his 31 rounds this year. While Rodgers and Yun have been rocks at the top of the lineup, the Cardinal hopes its depth will pass the test this week. Wilson, a sophomore, has three top-10's this season, highlighted by a fourth-place finish at the Fighting Illini Invitational in September, when he strung together rounds of 69, 67 and 76 on a very challenging course at Olympia Fields. 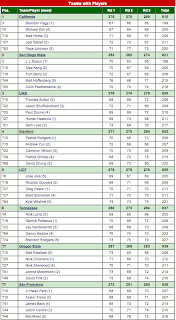 He also turned in a solid performance at the Western Intercollegiate, where he fired rounds of 69-72-70 to tie for 10th. Wilson followed an opening round 76 at the Pac-12 Championships with a six-under 66 in round two, only to be disqualified in round three for signing an incorrect scorecard. He managed to shoot an even par 72 in the final round. Grimes, a product of The Menlo School, will get his first taste of NCAA tournament competition, while Chung's playing pedigree make him a threat in every tournament. This year marks the third time Stanford Golf Course has hosted an NCAA men's golf regional (1997 and 2005)...in 2005, the 16th-seeded Cardinal shot a final round 283 to finish eighth in the field, earning a spot in the NCAA Championships...freshman Rob Grube earned medalist honors, firing a final round 65...Stanford did not advance to the NCAA Championships last season, finishing sixth at the Central Regional in South Bend, Ind....Stanford has six top-five finishes this season but just one win at the Fighting Illini Invitational....top-seeded Cal has won a school-record five tournaments this season and has finished in the top five in all 12 of its tournaments...other regional sites are Athens, Ga., (University of Georgia Golf Course), Greensboro, N.C., (Grandover Resort-East Course), Ann Arbor, Mich., (University of Michigan Golf Course), Norman, Okla., (Jimmie Auston OU Golf Club) and Bowling Green, Ky. (The Club at Olde Stone).